1. Desire: It could be any desire. 'I don't want to have any desire', is also a desire. 2. Intellect: Which means the judging, discriminating, knowing faculty in us. 3. Ego: Ego is 'I am somebody'. These three things obscure the self, and meditation is where you just freeze these three things for a few moments – freezing the intellect, the ego and the desires. It is just for some time, so don't be afraid or scared. Later on you can have any number of desires. Not that all desires are bad, some desires are good, some desires are okay and some other ones are really bad. So all types are there, but if you learn to freeze them, then stillness dawns and that is Samadhi. Children have all the three things, yet they freeze them very easily. That's why when you ask children, "What do you want", they will say, "Nothing". Have you noticed this? They don't judge anything. In children, the ego is not prominent enough, the intellect is not mature enough and their desires are not strong enough to obscure the self. This is nice knowledge. Some other time we will go deeper into it. Are desires connected to fate? 1. You fulfill the desire. 2. You completely cut it off. In Art of Living we say, "Okay, little bit of desire, let it be fulfilled", but if you see the previous generation of Masters, they would cut your desires. 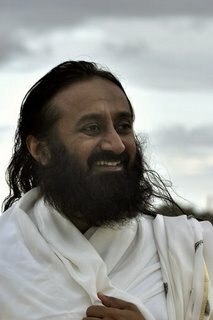 With Maharishi for example, if you say you want to do something, for example, express a desire to go to Milano, he will see to it that you never get to go there. With most people, of course, he would tell them to leave all their desires to be fulfilled, but with real disciples he would see to it that their desires never get fulfilled, so that they learn to drop them. It is desires that create anger and misery in you, and presses you to hold on to them. You know, some children, you give them something and they just hold on to it so tight that you have to give them something else to get it out of them, isn't it? Otherwise they make a huge noise. So Masters in the previous generation would make sure that you just dropped your desires. You can't say, "I like this or I like that". If you say it, then finished, you will never get that. You will have to drop it because any desire, even after being fulfilled, leaves you at the same spot that you were in before it arose. So if you go to the Master and say, "That person is blaming me", then he would say, "Good, let them blame you more". I also do this. Suppose someone says, "This person is troubling me", I say, "I will ask them to trouble you even more". Why? That is how you get rid of your ego. One aspect is making your ego bigger and the other aspect is breaking your ego. When I say, "You are so great", and I praise you, your ego bloats up and becomes bigger. But if I say, "You are so stupid, you are a blue star", and many people laugh at you, then your ego breaks. Humiliation and laughter smashes your ego. One is by praising, another is by smashing the ego. So it was a tough path in those days as this is what they would do. Maharishi would ask someone to go and enroll 10,000 people for some program, and they would go enroll. A month later they would say, "I have enrolled 10,000 people", and Maharishi would say, "Who asked you to do that". 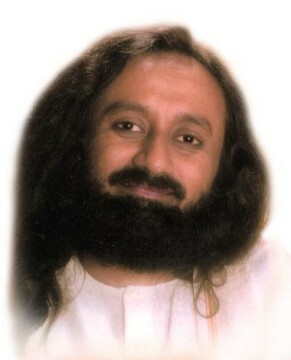 At this time, one can't say, "Oh Maharishi, you only asked me to do it". There is no way one can give any explanation. This man had done so much work to enroll 10,000 administrators, promising them all the money, heaven on earth and everything, and then suddenly what happened to his ego? It got totally shattered. He can't say anything now, he can't complain, he can't say, "How will I face those people", because the Master will say, "That's your problem, you face them, it's not my problem". You cannot complain to the Master about anything. It's sometimes completely crazy, but this gives you a good solid training so that you don't ever become a weak person crying over things that are immaterial. If it is told to you before, like in the DSN course (a rigorous transformational course that empowers participants to break through personal inhibitions and barriers and access inner stability and power) that this is what you have to do, then I think it's effectiveness is less. But when the person doesn't know, and you also don't know, and things happen in such a way (as it happened in the above example), then it is very powerful. You cannot say that they are doing it with some intention. From your side also, you are not even aware, and so you are totally torn apart, and that makes your personality so strong and flexible. See, what throws you off your balance is your ego. Ego is the reason many things are broken and many things are made. If you pump someone's ego, they can do some good work, and if you smash someone's ego they can break other things also. Ego can create havoc. It can break and it can make, and when your ego is just nicely kneaded like dough, then it is like a croissant with layers and layers and layers. Do you know how a croissant is made, and how the layers come? When you knead it and knead it, the layers come, and that is how the ego is transformed (by kneading it). I remember, when we were in Saltsburg, I was 20 or 21 years old at that time. Someone came and complained to Maharishi that so-and-so did this. He turned the whole thing around and pinned it on this person saying, "You are hand in glove with him, and you are part of all of this". The person could not say anything. 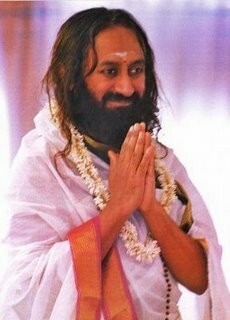 Maharishi said, "You were waiting for that person to make a mistake so that you can come and complain to me, and so you are also a part of it". The man was so shaken and completely taken aback. It was like shock treatment. So the ego, desire and intellect were dealt with like that. When it came to the intellect, all these Nobel scientists and intellectual people would be there and Maharishi would talk on something which nobody would understand. He would say, "'Aa' became 'Ga' and 'Ga' became 'Na' and 'Na' became 'Ya'". He would say some such thing and nobody would get it. We had to simply sit, including the Vedic pundits. It was such an exercise for the intellect to just let go of the position it takes.